The key figure of net retail income per passenger climbed by +4.4% in the year to £5.82. This figure rose ahead of inflation, noted Heathrow (SP). Overall retail income (including F&B, bureau de change and other services) climbed by +4.5% to £541.7 million. Heathrow’s retail income increased +5.7% to £460.1 million and NRI per passenger increased +4.4% to £6.21. The underlying growth in Heathrow’s net retail income per passenger was slightly higher (around +5.5%) after adjusting for one-off benefits and Olympic-related income. of passengers purchasing items in the in-terminal retail facilities. This was driven by factors including an increased proportion of higher spending non-EU passengers, refurbishment of Terminal 3’s airside shops and enhancements to World Duty Free’s stores in Terminals 3 and 4. In airside specialist shops, trading was buoyant in the luxury and fashion segments, the company said. A strong performance in bureaux de change at Heathrow was due primarily to improvements in contract terms with business partners. Catering income grew well ahead of passenger growth due to rebalancing of the portfolio towards premium outlets, enhanced contractual terms and a general focus on speed and quality of service. Finally in advertising, income growth was due to Olympic-related sales. Stansted’s retail income decreased -1.9% to £81.6 million, outperforming the -3.2% decline in its passenger traffic. NRI per passenger increased +2.8% to £4.27. Catering, landside shops and bookshops and other retail income increased year-on-year although this was more than offset by declines elsewhere, particularly in car parking and duty and tax-free. Group-wide, passenger numbers were flat at 87.4 million. Group revenues rose by +8.1% to £2.46 billion, with adjusted EBITDA up by +11.6% to £1.26 billion. The group recorded a pre-tax loss of £32.8 million, a sharp improvement on last year’s £255.8 million. The company noted that investment at Heathrow surged by +30% last year to £1.1 billion as Heathrow T2 nears completion. Colin Matthews, Chief Executive Officer of Heathrow, said: “2012 was an historic year for Heathrow. We gave a warm welcome and a smooth journey to thousands of Olympic and Paralympic athletes, and greeted a record 70 million passengers over the twelve months. Heathrow Airport makes it into the top ten. London’s Heathrow Airport has been named among the top ten world airports at the World Airport Awards 2013. Heathrow came tenth overall in the awards, organised by aviation research organisation Skytrax, but was credited with the best airport shopping in the world while the new Terminal 5 took the world’s best airport terminal title. Singapore’s Changi Airport was voted as the world’s top airport at the annual ceremony, based on the votes of 12 million travellers from 108 countries worldwide. Amsterdam’s Schiphol was named as the best in Europe. It is the first time that Heathrow has made it into the top ten, but the third year running they have taken the top shopping prize. Heathrow Commercial Director Fidel Lopez said: “We’re delighted that our passengers have recognised Heathrow once again at the prestigious World Airport Awards for a fourth year in a row for our shopping and for a second time for Terminal 5. “Next year will see the opening of Terminal 2 which will allow even more of our passengers to enjoy an experience similar that offered by Terminal 5 today. 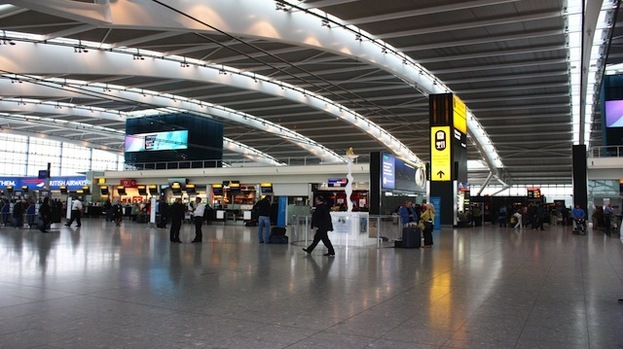 London Heathrow Airport has the World’s Best Airport Shopping according to the 2012 World Airport Awards which were held at Passenger Terminal EXPO in Vienna. The award was decided by international passengers during a worldwide, 10-month survey. “We congratulate Heathrow on winning the Best Airport Shopping Award for the second consecutive year. Heathrow has clearly not rested on its laurels after its previous success, and during 2011 the development of both Terminal 3 and Terminal 4 airside shopping areas has enhanced what was already an excellent shopping experience.” said Edward Plaisted of SKYTRAX. There was success for Hong Kong International Airport who finished in 2nd place, with Dubai International Airport completing the top 3. Incheon International Airport achieved 4th place with the newly renovated Sydney Airport completing the top 5. Heathrow has been named as the world’s Best Airport for Shopping’ for a third time at the World Airport Awards. Heathrow has been named as the world’s Best Airport for Shopping’ for a third time at this year’s World Airport Awards, held yesterday (Thursday 19th April) at the Passenger Terminal EXPO 2012 in Vienna. The awards were a double success for the UK’s hub airport as Terminal 5 was also named the world’s Best Airport Terminal following votes by airport passengers from across the globe. The Skytrax 2011/12 World Airport Survey is the world’s leading independent study of airport passenger satisfaction and is widely regarded as the quality benchmark for the world airport industry, assessing customer service and facilities across 388 airports in 2012. The World Airport Awards are independent of any airport control or input and are therefore an impartial benchmark of airport excellence and quality. Heathrow has over 52,000 square metres of retail space and more than 340 retail and catering outlets in total offering a wide range of premium brands and high street favourites including Paul Smith, Mulberry, Harrods, Ralph Lauren and Kurt Geiger. 2011 saw openings by Miu Miu and Spanish chain Zara – which opened its first ever UK airport store in Terminal 3. Pop-ups from Jack Wills and Ted Baker followed in Terminal 5 in late 2011/early 2012. 2011 was a record breaking year for Heathrow retailers who enjoyed an 8.8 per cent growth in gross turnover led by a boom in luxury spending from passengers using the UK’s only hub airport to connect from emerging markets. Heathrow has the highest retail sales of any airport in the world ahead of Incheon airport in South Korea. Gross retail sales at Heathrow increased again in 2011 to £1.7bn/USD $2.6bn (2010: £1.5bn/USD $2.4bn), while Net Retail Income per passenger increased by 5.3 per cent to £4.35 (2010: £4.13). Says John Holland-Kaye, commercial director at Heathrow: “We are thrilled that Heathrow has been rewarded for a third time at the prestigious World Airport Awards. Terminal 5 is a great showcase of our vision of Heathrow’s future and the level of passenger experience we are working to deliver right across our airport. Posted: Thursday, April 18th, 2013. Filed in Air Travel and Consumerism News, General News, News about Airports, Recent News.